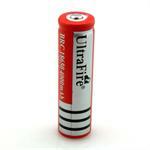 N-700AAC: 1.2 volt 700mAh AA-size rechargeable Ni-Cd battery cell. SANYO-Panasonic brand. Cell is about 2" tall x 0.56" diameter. Weight = 0.77 oz. Has slightly wider button top than standard AA. 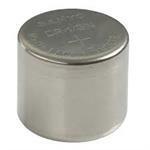 Choose Plain (button Top), or w/ Solder Tabs (for assembly; $ 0.25 extra per cell). Updated pricing effective March 2017. 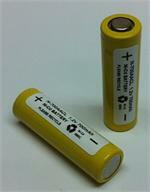 AP-1000SC : 1.2 volt 1000mAh "2/3 Sub-C" rechargeable Ni-Cad battery. Flat-top style. 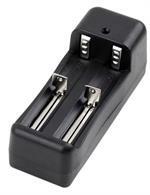 AP-1000SC : 1.2 volt 1000mAh "2/3 Sub-C" size rechargeable Ni-Cad battery. New higher capacity ! Size: 0.875" dia. x 1.02" tall. 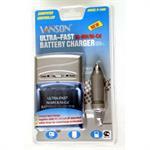 This rare size is often found in cordless shavers & Kraft TX & RX battery packs. 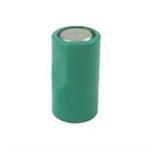 AP-2500D : AP-brand 1.2 volt 2500mAh 1/2D-size rechargeable Nickel Cadmium flat-top cell. Choose Plain (no tabs) or w/ Solder Tabs. 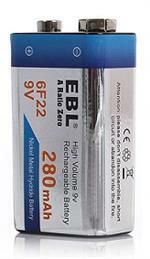 AP-2500D : AP-brand 1.2 volt 2500mAh 1/2D-size rechargeable Ni-Cad battery cell. Choose Plain (no tabs) or w/ Solder Tabs. 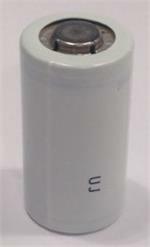 Industrial-size battery cell - found in SL-20 flashlights, etc. Size: 1.272" dia. x 1.4" tall. Solder tabs extra. 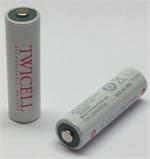 LP452030P6H : 3.7 volt 250mAh Lithium Polymer cell, w/ E-Z solder tabs. 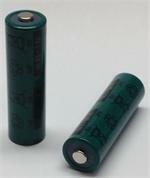 LP452030P6H: 3.7 volt 250Ah Li-PO battery, w/ E-Z solder tabs. Cell size: 30mm long x 20mm wide x 4.5mm thick. 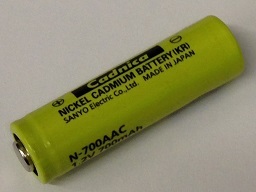 3C discharge capability (600mA). 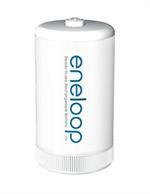 Has E-Z solder tabs, for assembly. 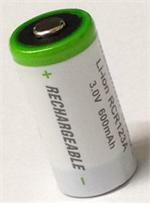 The LP353048P4HHR is a 3.7v 300mAh rechargeable Lithium Polymer cell. Dimensions: 48mm L x 30mm W x 3.5mm thick. Weight: 8.5 grams. Has E-Z solder tabs, for assembly. 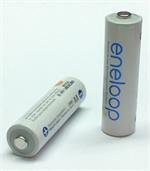 LP703048P4HHR is a 3.7 volt 850mAh Lithium Polymer HIGH OUTPUT battery cell.